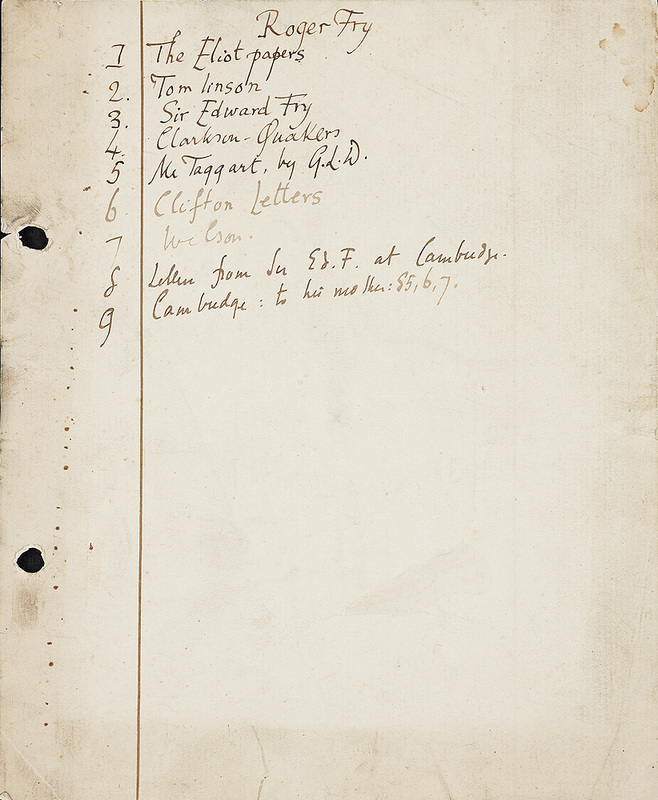 The last book Virginia Woolf saw into print before her death, Roger Fry, is her one serious full-length biography. 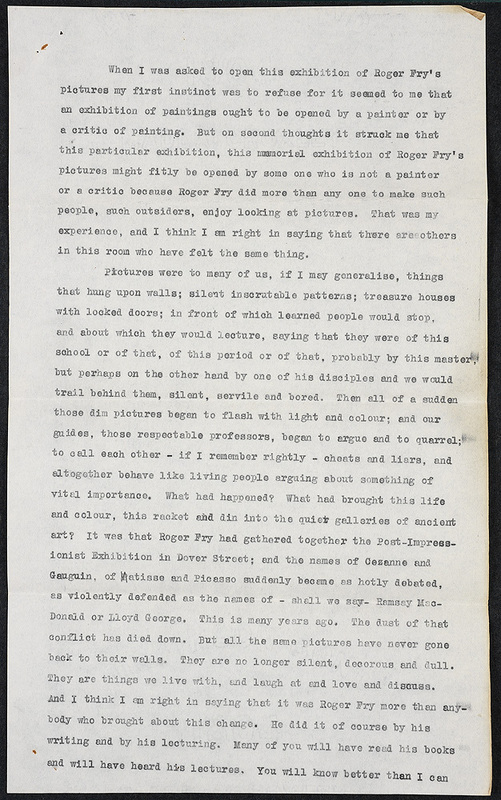 “I can’t help thinking,” she concluded, in spite of her difficulty in putting her theories of biography into practice, “I’ve caught a good deal of that iridescent man in my oh so laborious butterfly net.” Some of Woolf’s reading notes about Fry’s Quaker family background are on display, as well as one of Fry’s books for the Omega Workshops, which he founded in 1913. Virginia Woolf. Roger Fry. London: Hogarth Press, 1940. 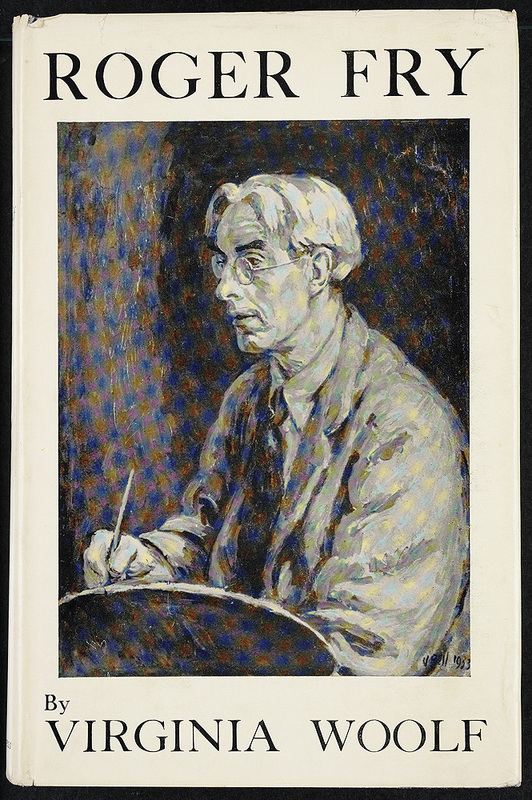 The portrait of Fry on the dust jacket is by Vanessa Bell. Presented by Frances Hooper ’14. Virginia Woolf. 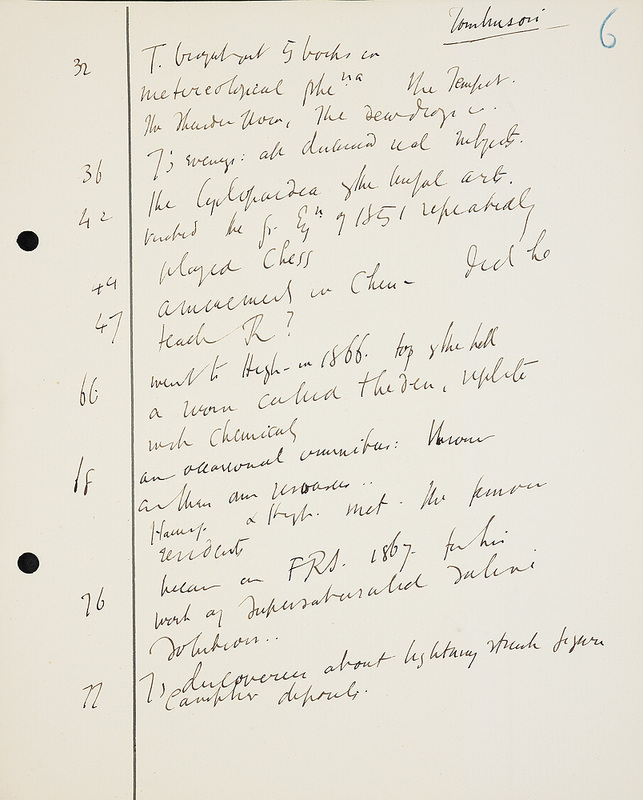 Roger Fry: holograph notes, . Presented by Frances Hooper ’14. 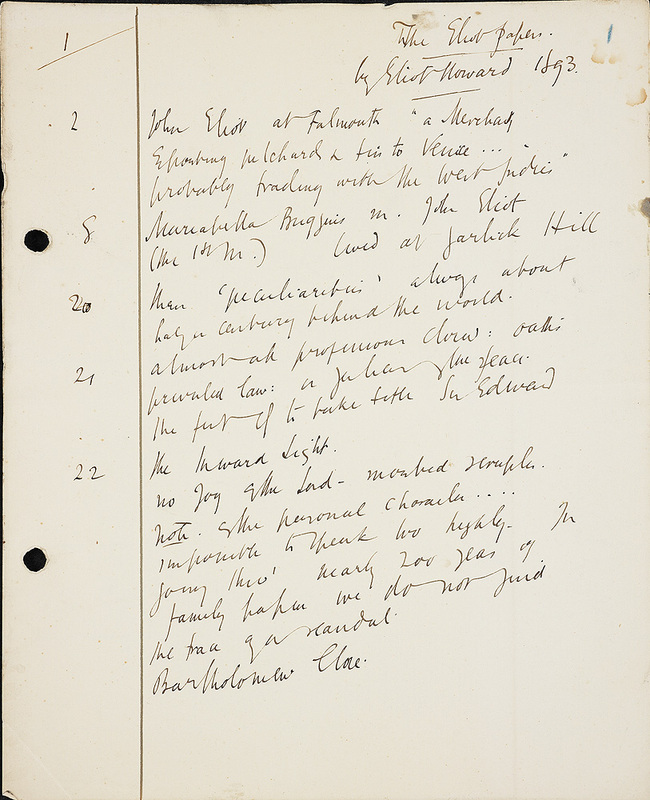 As was her custom, Woolf alternated between writing nonfiction and fiction, working on Roger Fry and Between the Acts simultaneously in 1938. 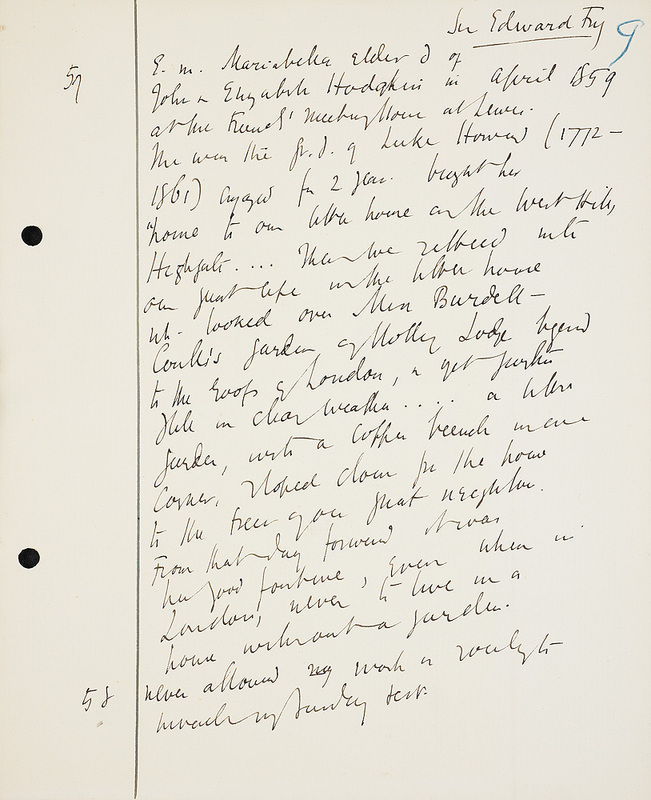 She was also writing her autobiography, “A Sketch of the Past.” Woolf began her research within a month of Fry’s death (9 September 1934) and the project took five years to complete. 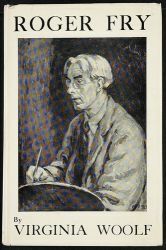 Roger Fry was published on 25 July 1940, six months after Woolf’s fifty-eighth birthday and eight months before her death. 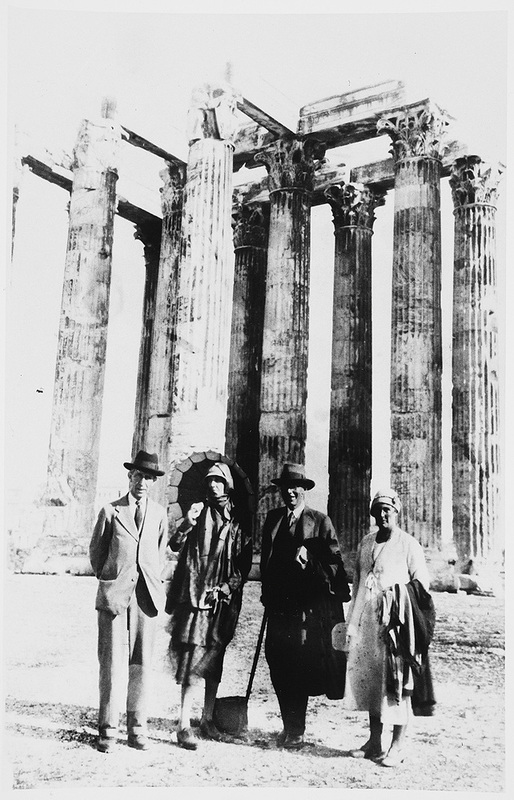 photograph (modern print), May 1932. 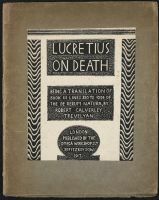 Titus Lucretius Carus. 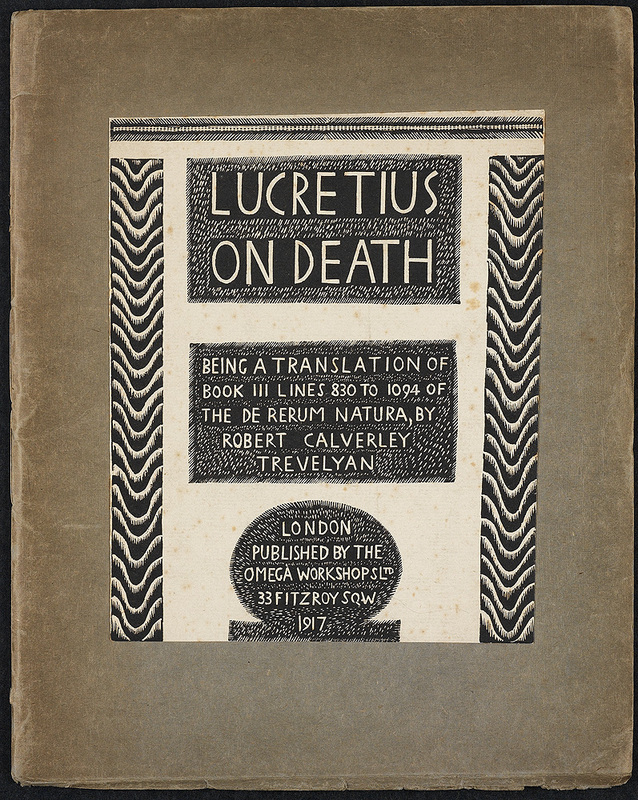 Lucretius on Death. Cover designed by Roger Fry and executed by Dora Carrington.